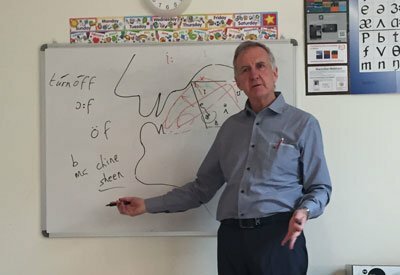 Tony Penston, founder of TP Publications and author of “Essential Phonetics for English Language Teachers”, and “A Concise Grammar for English Language Teachers”, on our reading list for CELTA, has taken time to give us his views on embedding pronunciation correction successfully in a lesson. But first let’s find out about the man behind these well-known ELT publications. When did you get into teaching? Tony: I started in 1978 in Iran. I didn’t have a degree but had had a job as a copywriter so I had an interest in English. I soon got the teaching bug and back in Ireland I got a B.A. in Linguistics, later an M. Phil in Applied Linguistics and the Trinity College London DipTESOL. Tony: In Iran as I said, also Mexico, Spain, China, Oman, and back home in Ireland. Tony: The conviction that a caring profession like teaching is a great place to be. Also, that TEFL is so dynamic, setting the pace for so many other subjects in other educational fields. What inspired you to develop your own publishing business and write the books you’ve published? Tony: While teacher training I perceived a need for a grammar which could actually be covered on a TEFL course. A Grammar Course for TEFL Certificate (1998), 80 pages in length, was my attempt at this. I submitted the manuscript to a few ELT publishers but they rejected it, some because they already had authors working on something similar, others because as I had specified its readership as native speaker TEFL trainees they assessed the market as too small. I enjoyed publishing it myself, being able to organise the layout as I wanted, being able to include some ‘quirky’ examples, etc. This aspect of complete control prompted the publication of further books, in particular A Concise Grammar for EL Teachers and the latest Essential Phonetics for EL Teachers. Tony: In Greystones, a seaside town south of Dublin, Ireland. I do some occasional teaching and consultancy work nearby but I prefer to write when I can. We had a lively discussion about teaching pronunciation with fellow English language professionals from many different countries and contexts in an online community discussion recently. We decided to put some of the issues raised to Tony to get his perspective given the recent release of his book Essential Phonetics for English Language Teachers. Tony’s thoughts: Teaching IPA phonemes for their own sake, to children or adults, would be a daunting enough prospect for the teacher too. A phonic spelling convention may be of assistance to children especially, but it has its drawbacks, one being that many pronunciation difficulties are caused by incorrect articulation, often approximants of the L1 sounds, and not solely by graphemic-phonemic misinterpretations. Essential Phonetics for English Language Teachers does not prescribe the use of phonemes beyond their exploitation in the correction of pronunciation errors. We agree that the teaching of IPA (phonemes) is not essential, but that the use of some phonemes, of which the schwa is essential, can assist in correcting certain errors. Phonics is mainly concerned with spelling-to-sound difficulties. 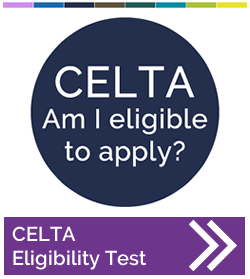 ESL learner difficulties are of a much broader range. Tony’s thoughts: If students can perfect their pronunciation by using online programmes then this allows the teacher to work on other areas of language teaching and there’s no need for phonetic training. However, in my experience when students come to class they expect the teacher to know how to fix any serious mispronunciations, and to do this the teacher must be competent in English phonology and its exploitation in the correction of errors. Finally, hearing words online will not help regarding difficulties with connected speech, sentence rhythm and intonation. Regarding phoneme charts, I rarely find myself using any, though I like to have one in the classroom. ‘Teaching IPA’ is not an objective of language teaching. Teaching pronunciation is. However, teaching pronunciation, like the teaching of grammar, should not entail the teaching of rules or phonemes for their sake alone. The Communicative Approach would recommend that rules be exploited for their benefits when and only when required. Essential Phonetics for English Language Teachers focuses on giving teachers the skills to hear and correct mispronunciations, not to ‘teach IPA’. Language schools are entitled to concentrate on whatever area of language their students demand. If indeed their graduates’ speech is of a quality that renders it readily interpretable in an international context, and the other skills, reading, writing, listening, are also of an acceptable grade, then it’s ‘job done’. A reputable international language examination with a substantial speaking part would provide confirmation of this. That being said, in my experience there have been no adult learning environments where students have not registered doubts about their L2 pronunciation accuracy. Indeed, there are cases where students expressed dissatisfaction with ‘listen and repeat’ as the sole means of pronunciation teaching. Children know how to learn languages and their methodology consists mainly of games, songs and role play. There is much published material available for such application. Teachers on the lookout for materials should join teachers’ associations, online groups, etc. LinkedIn, for example, has many teacher groups who share such information. A browse through the larger online EFL catalogues, such as that of Bournemouth English Book Centre, will also yield rewards. So, who really needs to know their phonics? Do we train learners in phonics or the teachers? Tony: I have had students come to my class at upper intermediate level having had little or no error correction, and it shows. They are glad to have things like vowel length, stress pattern and consonant articulation explained, with the assistance of the whiteboard, and with or without phonemic transcription as required (except for the schwa of course). ‘Training learners in phonetics’ is not an objective of Essential Phonetics for English Language Teachers; training teachers is, whereupon they will have the skill to fix pronunciation errors at the appropriate time in everyday classes.